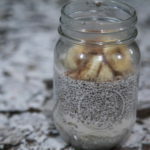 Have you heard anything about chia seeds? A lot of modern diets use chia seeds in different recipes. A lot of articles have been written about the health benefits of chia seeds. The most common recipe that uses chia seeds is pudding. 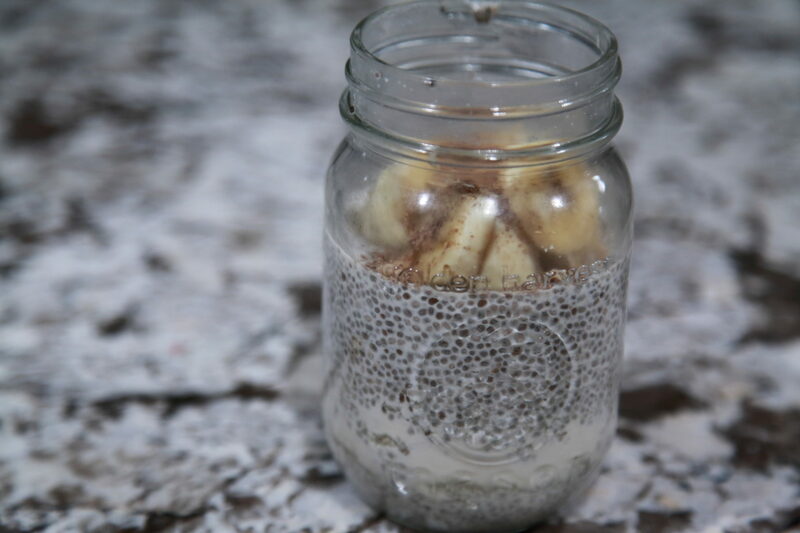 The chia seed pudding can be used as a dessert or can be a part of your breakfast. It is a nutritious and delicious meal that will not leave you unsatisfied, especially if you have a sweet tooth craving. You will find a lot of different chia seed pudding recipes. The one we would like to share with you is the paleo orange chia seed pudding. It is a very easy and fast recipe that will suit perfectly as your breakfast substitute or a quick dessert in the evening. This recipe does not contain a lot of calories, so will suit perfectly for people counting their calories or for those who would want to have a light dessert. But before we started let’s see what the Paleo Chia Seed Pudding is and what are the health benefits of having it? 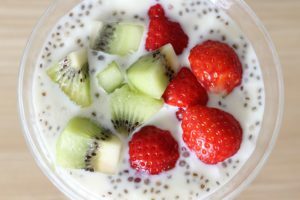 What Is The Paleo Chia Seed Pudding? Chia seeds have a great ability to soak moisture that makes them a great ingredient in puddings or even baking. The Paleo chia seed pudding contains only 4 ingredients. Moreover, we do not use any sweeteners in this recipe! Chia seeds are truly a superfood. These little seeds are packed with fiber. 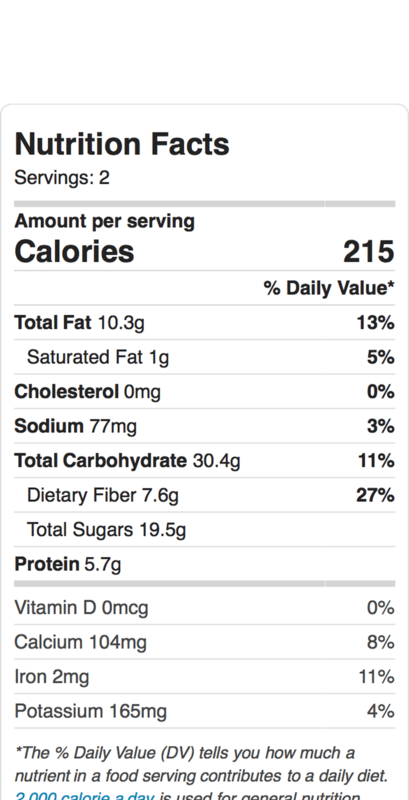 One serving can fulfill your daily fiber requirement! Fiber helps your bowels to move masses and clean your body from waste. It also helps you feel full for longer period of times. Fiber expands once the water is added and suppresses your appetite. Fiber also works as prebiotic feeding good bacteria in your gut. 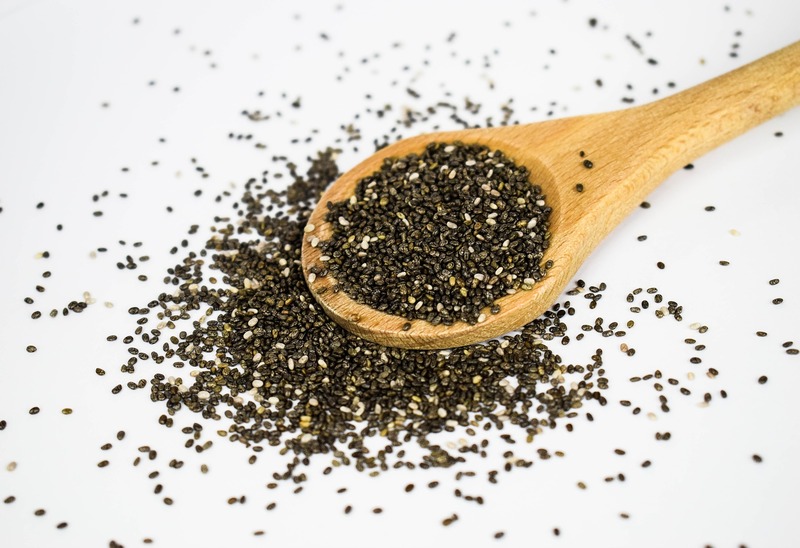 Chia seeds contain Alpha-Linolenic Acid (ALA) and fiber that can help prevent metabolic disorders like dyslipidemia (excessive fat in the blood) and insulin resistance. 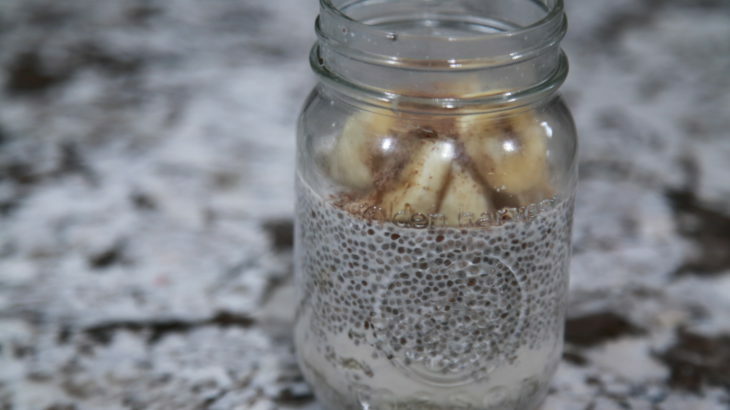 It was proven that chia seeds can prevent diabetes and even reverse it (1)! Chia seeds contain Omega-3 fatty acid (linoleic acid), a healthy fatty acid, that help decrease inflammation in your body. It also helps with absorbing fat-soluble vitamins, such as Vitamin A, D, E and K.
Omega-3 fatty acid protects your heart by lowering blood pressure, bad cholesterol and inflammation. Chia seeds are one of the greatest sources of antioxidants. Antioxidants help with the skin repair and prevent further damage. It can also prevent premature skin aging due to inflammation and free radical damage. It was proven that chia seeds can increase your energy level. 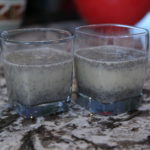 In a controlled study published in the Journal of Strength and Conditioning athletes who drank half of the Gatorade and half of the chia seed drink performed similar to athletes who drank only Gatorade, yet they consumed far less sugar (2). Moreover, adding chia seeds to your diet can boost your metabolism and help you burn belly fat. One ounce of chia seeds contains 18% of daily recommended Calcium. Calcium is an essential mineral required for bone health. Chia seeds also contain Boron that helps metabolizing minerals such as Calcium, Magnesium, Manganese, and Phosphorus – all required for your healthy bones. Chia seeds are rich in fiber. They are so unique as they can absorb up to 10 times their own weight in water. What it means to you is that chia seeds can slow down the digestion and make you feel fuller longer, reducing sugar cravings. Chia seeds are also high in zinc, that helps your body to increase leptin. Leptin is a hormone that is responsible for appetite regulation. As I have mentioned earlier chia seeds are rich in Omega-3 fatty acid that was proven to limit the growth of cancer cells in both breast and cervical cancers (3). As you can see, chia seeds are a unique superfood that will benefit your health in so many ways. 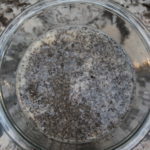 One of the most popular ways to consume it is by making chia seed pudding. Paleo orange chia pudding can fully substitute your breakfast. Even though it might look as not too much food to eat, however as mentioned earlier, chia seeds are able to suppress your appetite for longer and keep you feeling full until your next meal. It can also be consumed as a snack or a dessert in the evening. If you are following the intermittent fasting, paleo orange chia pudding can be taken right before the intermittent fasting begins. It will allow you to feel full for a long period by processing your food in a slow mode. 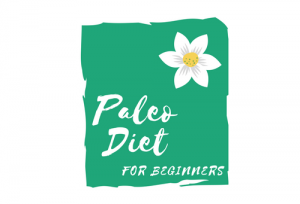 Paleo Diet Dessert, The Paleo Diet Recipes chia dessert, chia seed pudding dessert, healthy dessert, paleo chia seed pudding. permalink. i like this. seems like a good snack option..I’m not too keen on it for breakfast….but definitiely a snack. I’ll be trying this! You will be surprised but chia pudding offers a lot of nutrition in just a small glass 🙂 By topping it up with fruits and nuts, you would add more nutrition, good calories, vitamins, and minerals, that will last you for a long time! However, it is also a nice treat as well after the main meal.